In many ways, I'm the exact type of audience member director Asif Kapadia (Senna) had in mind as he constructed his latest documentary. I was never a huge fan of Winehouse when her meteoric rise hit the U.S. in 2006, but it was more out of a lack of interest in the personal drama swirling around her than any disdain for the music she was creating. By the time of her death in 2011 the drama, drug abuse and drinking came to overshadow anything the singer was doing or had done in the world of music and thus I didn't really care to take any interest. Of course, shutting out the external influences and strictly listening to her voice the talent is undeniable. In Kapadia's new film, we are given an all-access pass, warts and all, to the singer's trials and tribulations and the eventual downward spiral that became so out of control, the crash was inevitable. What makes this documentary cater to my frame of mind is that it is an attempt at restoration in many ways. Sure, you probably know this famous person because of their off-stage antics and problems, but there is more to it than that the film tells us and thus a reason to listen to what the film is trying to say in its plight to restore the proper legacy that Winehouse's talent deserves, if not her career. The opening footage we see of Winehouse comes from a time far removed from that of where she would go. At the tender age of fifteen or sixteen (which we would later learn was already plagued by the beginnings of bulimia) she sings happy birthday to a friend and you can already hear the flourishes of her voice and the jazz-like influences that are present. The singing of a song as broad as "Happy Birthday" also shows in simplistic form how impressive her voice was while playing to the "sameness" in relation to audience members lives. It's a surface-deep introduction that we realize doesn't cut to the core of who this young lady is, but is just enough to hint there is a lot more and no doubt something very interesting going on beneath the surface. In short, it hooks us. 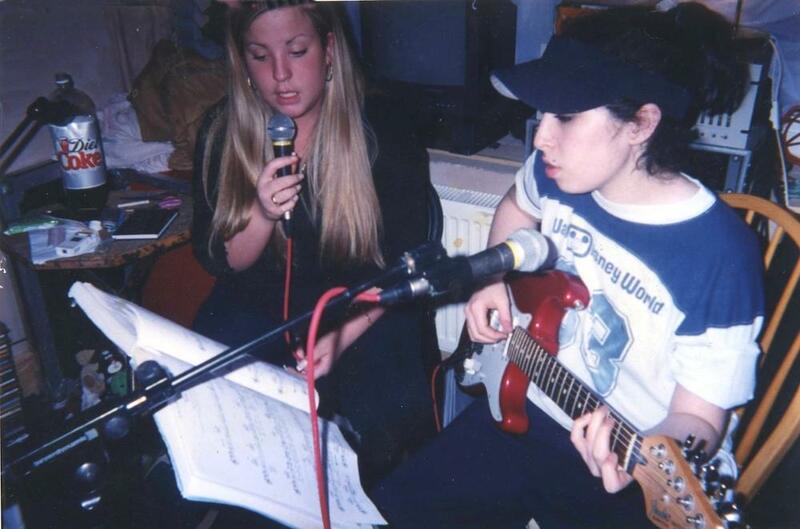 Amy Winehouse puts together a tune before landing a record deal. What might be the most fascinating element of this documentary is just how much raw footage of the singer is actually available. Beyond performance and interview clips it seems cameras were often rolling behind the scenes, even from the earliest days of Winehouse's career when she was managed by friend Nick Shymansky. There is so much footage in fact, that Kapadia never needs to cut to the talking heads, but instead allows only the voices to play over the footage from the time in Amy's life in which they're discussing. Going about things in this present-like fashion, the film is able to build a real sense of the atmosphere and the circles that Amy existed in and ran with at the specific times in her life that we move through in order to get a better look at the full picture. Further relating the mythic, celebrity status of Winehouse to real life is Kapadia's choice to include the lyrics of her songs on the screen as she sings them. In light of how the events of her life are explained to us, and in what order, the songs and their acknowledged lyrics give a sense of real cause and effect. The songs essentially being a journal for her personal life, masked by the black mascara and the strangely effective way in which she phrased her melodic adventures, are more insight than initially imagined. Kapadia is sure to hammer this aspect home as it is reiterated many times that, more than anything else, Winehouse didn't care for the side of being a musician that dealt with fame, but was more interested only in creating art and making sure she had a reliable outlet for the bouts of depression she experienced, but never classified as such because she had a way of relieving herself whereas others might not have something so reliable to turn to. 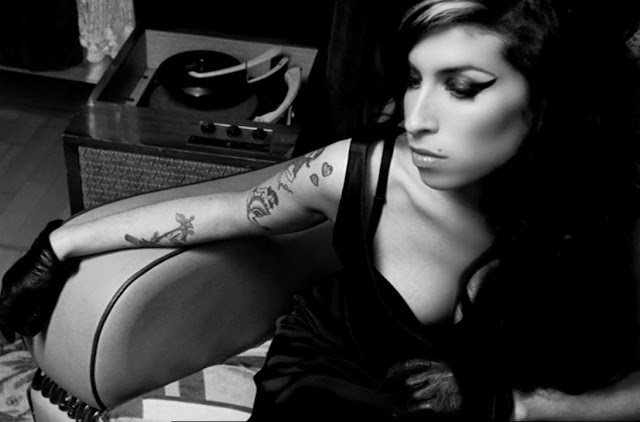 Winehouse was about the process, the pure and emotional relationship we can have with a note and a melody. The main throughline remains that even as Winehouse became a bigger tabloid target and the people around her only remained to exploit her further, her connection with music held fast as the one sincere relationship in her life. Among the many interviews in the film, a line from drug counselor Chip Somers makes a contribution that goes something like, "When money and expectations are involved, perspectives become skewered." This frame of mind combined with the toxic relationship Winehouse had with men set-up the fame weary Winehouse for her pattern of self-destructive behaviors. From the outset, Kapadia does something of a nature vs. nurture examination of Winehouse with the tendency to lean toward nurture. To this point, Kapadia does the oddly interesting (if not necessarily objective) thing of implying more than connecting what might have been the cause for these behaviors the media automatically saw fit to blame on the singers drug and alcohol addictions. Winehouse had a tumultous relationship with Blake Fielder-Civil when they first met and were still seeing other people. She fell for the drug that is love with him and when he decided to go back to his girlfriend Winehouse's breakthrough album, "Back to Black" was born. It is through the lyrics of this album that Kapadia also reintroduces Fielder-Civil when he reintegrates himself into Winehouse's life after the fame and money hit a fever pitch. What is most unfortunate is you can see the pride and admiration Winehouse held for Fielder-Civil simply by the way she looks at him. She put on such a strong facade the film tells us, but in these moments that Kapadia freezes the image we glimpse the vulnerable woman that very much existed beneath it all. The same is true of her father, Mitch Winehouse. Interviews with Winehouse's childhood friends, Juliette Ashby and Lauren Gilbert, talk of how Mitch leaving Amy's mother truly traumatized her. There are even audio clips of Winehouse discussing the ramifications of what her father did and how her mentality shifted after he was no longer in the picture. And then, seemingly out of nowhere, once she is rich and famous, Mitch Winehouse is back in his daughters life ("I ain't got the time and if my daddy thinks I'm fine"). Even her manager for the latter half of her career, Raye Cosbert, enabled her to a point she had no one to turn to as all involved were more interested in their financial well-being and sucking everything they could from their gold mine before it ran out. Winehouse after her transformation to the artist the world came to know her as. 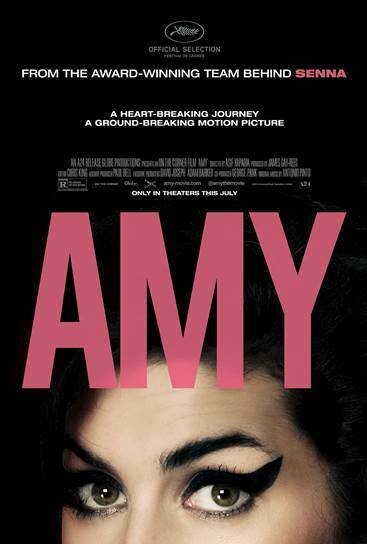 It is a given that AMY is utterly heartbreaking, but what makes it all the more so is the harsh truth that Winehouse's fear of becoming famous and the inability to handle such pressure is what ultimately turned her into the cliche of the out of control rock-n-roller she was painted to be. In this regard, it's difficult to place the blame on any one person as any human being's life is their own and will do what they please with it, but the contributing factors of Fielder-Civil (who admits to introducing Winehouse to heroin) and her father are given top billing as the one-two punch that was too much for the frail girl who just wanted to feel loved, but only felt the necessary kind of reciprocation from the music she created. It's disheartening when we see clips of stand-up comedians take easy shots at Winehouse's drug addiction and fragile appearance when she was at her lowest, especially now knowing the outcome, but it would also be a lie to say a few of us weren't laughing along when those jokes were originally made. We look for these celebrities to not only feed a need for entertainment and culture, but as a kind of lifestyle to aspire to and when they aren't well-equipped for such a task we tear them down, poke fun, criticize and then shed tears when they don't come out the other end smiling or with a redemptive spirit. Amy Winehouse was someone who needed others as much as they needed her. Had her psychology been impacted in other ways, she might not have felt the need to keep up with Fielder-Civil when it came to drug use and might have allowed for her rehab stints to run their course rather than being plucked out for gigs and appearances that did little good for the singers state of well-being, but were necessary to continue filling her father and managers pockets. By the end of the film, we return to the charismatic, funny and uniquely beautiful soul that sung "Happy Birthday" in the beginning and who was enamored with jazz only to wish Winehouse's story might have turned out differently. Unfortunately, Winehouse didn't stay here long enough to learn how to live life accordingly.